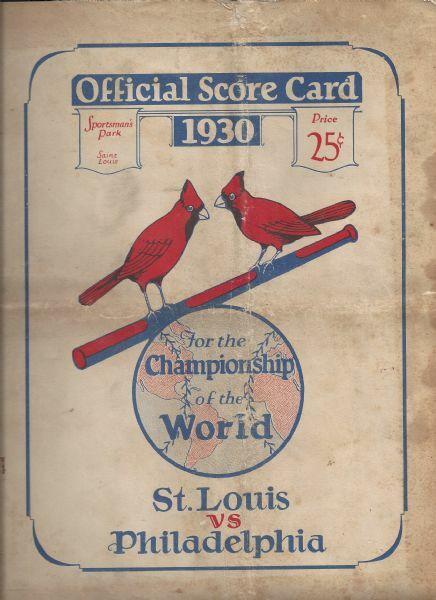 1930 World Series program (St. Louis Cards vs Philadelphia A's) at St. Louis. Numerous HOF'ers played in this one. Program shows age related wear but still maintains an uncompromising level of refinement. Scored neatly in pencil. Good/Vg.